One challenge of the low-carb diet is learning to put together full meals that are fully satisfying, despite not including any starchy element like pasta, rice or potatoes. The recipe below totally hits the mark. It’s a great side for any kind of meat—roasted, grilled or even something like meatloaf. 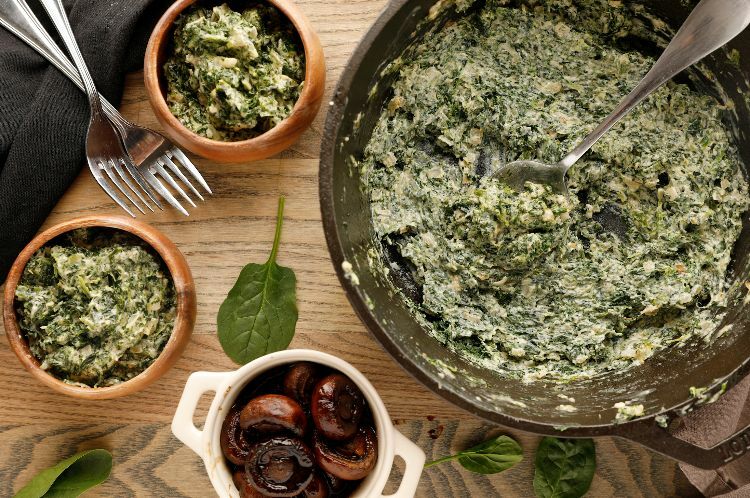 Spinach can seem like a boring side dish, but when you cook it in butter with onions and garlic and then drench it in a sauce made of more butter, cream cheese, heavy cream and Parmesan cheese, it is anything but dull. This has become the most requested veggie dish at my house, and it’s not hard to see why. Melt the butter in a skillet over medium-high heat. Add the onions and cook, stirring frequently, until softened, about 5 minutes. Add the garlic and cook, stirring, 1 minute more. In a saucepan, melt the remaining tablespoon of butter over medium heat. Add the cream cheese, cream and Parmesan cheese. Cook, stirring, until the cream cheese is completely melted and the mixture is smooth, about 4 minutes. Season with salt and pepper. 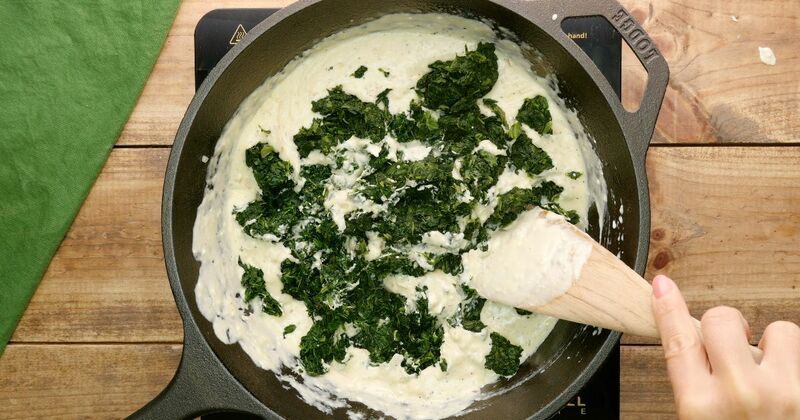 Add spinach into the skillet and mix well. Serve hot. No one said you had to suffer on a low-carb diet. This breadstick replacement uses cauliflower to make the crust, and honestlythese breadsticks might be better than the carb-loaded ones. In case you were worried that you'd never be able to enjoy pizza again because you're trying to limit your carbohydrate intake, this low-carb recipe may ease your mind. Eating low carb doesn't mean you have to give up your cravings. Here are 8 low carb and keto friendly pizzas you don't have to feel guilty about.